Who does not enjoy a fun party? While we have all most likely partaken in house parties from time to time, there are certain Florida and West Palm Beach laws and ordinances that must be abided by. For example, a homeowner may face fines or charges for excessive noise, alcohol being served to minors, or illegal drug consumption is occurring. If you have been charged with fines, a misdemeanor offense, or a felony, for a party that was on your property that you attended or were responsible for hosting, you may require the assistance of a West Palm Beach attorney. As per Florida statute 856.015, it is a second degree misdemeanor, punishable by up to 60 days in jail and a $500 fine, to host a party where alcohol or drugs are being consumed by a minor. The person in control of the residence must take reasonable steps to prevent the possession or consumption of alcohol or drugs. And, if they know, or should have known, that drugs or alcohol was being consumed or possessed by a minor, they will be held in violation of this statute. A second offense is a first degree misdemeanor, punishable by up to 12 months in jail and a fine of $1,000. Moreover, if the minor is seriously injured or dies as a result of alcohol consumption, or causes another person to be seriously wounded or killed because of alcohol consumption at the open house part, the person in control of that house will face a first degree misdemeanor. Disorderly intoxication is a second degree misdemeanor, according to Florida statute 856.011. It is defined as being intoxicated and endangering the safety of others or other’s property, as well as being intoxicated or drinking alcohol in a public place while causing a disturbance. Many south Florida residents are actually quite concerned about the growing party culture in their neighborhoods, according to the Sun Sentinel. For some, it is such a problem that bills have been passed, though failed, to allow cities to regulate vacation rentals, which are being pointed to as the main culprit. State Rep. Joe Geller, D-Aventura said in a recent town hall that, “If you live next door to a house being rented out for rowdy parties every night, that’s a problem. And if the contact is a P.O. box in New Hampshire or Michigan, I see why that’s a problem. There needs to be a contact within shouting distance.” New legislation is expected to be introduced soon that would enforce more registration and possibly other ordinances to cut down on the noise, drunk driving, and trash that vacation rentals bring to neighborhoods. 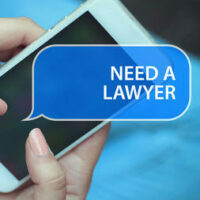 No matter what charges have been brought against you, an experienced West Palm Beach criminal defense attorney with the Skier Law Firm will help you beat those charges and keep your name in good standing with the community. Reach out to us today for assistance with your case.